It's true, I do like to be on the move, but more out of my need to wander than the joys of packing boxes and lugging furniture into a removal van. I'm sure I inherited this love of the unknown from my mum, who at the age of twenty-one packed her bags and stepped onto a boat in The Netherlands bound for a new life in Australia. A life she wanted to create for herself in place of the one being mapped out for her. Eighteen months ago, my husband and I decided to reverse her course and create a new life for our family in Europe. We sold our car, furniture and most of our belongings and bought a motorhome and six one-way tickets. While preparing for our trip, I took my daughter Zoe to the Women's Adventure Expo in Sydney. I was excited about the idea of an expo dedicated to women and adventure that sounded like something that would speak to us. It’s hard to pick a favourite moment for me because the whole day felt like a non stop a-ha moment. Here was my tribe. I knew that day that I would own my need to live an adventurous life and it would be the path that I would trust. Zoe's favourite moment was listening to One Girl Australia CEO, Morgan Koegel, speak about their work raising money to educate girls in Uganda and Sierra Leone. When girls in developing countries receive an education they will earn higher incomes, have better health outcomes, and be twice as likely to educate their children, creating a positive cycle for their community. Sadly, most girls don't get this opportunity. Morgan shared with us her inspiration for this cause when she said, 'when something feels wrong in your gut - do something about it'. And that's exactly what Zoe did. In her last weeks of school in Sydney, she and her friends ran a raffle with ethical and sustainable prizes which raised enough money for One Girl to educate 8 girls for a year. We ended our three years in Sydney on a high, celebrating this amazing achievement. After Christmas at home in Melbourne with family, we set off on our journey, spending the first few months discovering the rolling green hills, battered cliffs, castle ruins and the beautiful, kind-hearted people of Ireland. As the weather warmed in April, we loaded our motorhome onto a ferry to the Britanny coast to start our continental tour in a tin can. We hiked the mountains of the Pyrenees and Sierra Nevada, surfed the coast of Portugal, swam in azure lagoons, explored stunning cities and ancient ruins, and ate incredible food all the way. As we neared the end of our five months on the road I started to think about how we would maintain the adventure in our lives as we settled back down to the realities of a house, jobs, school and "normality". 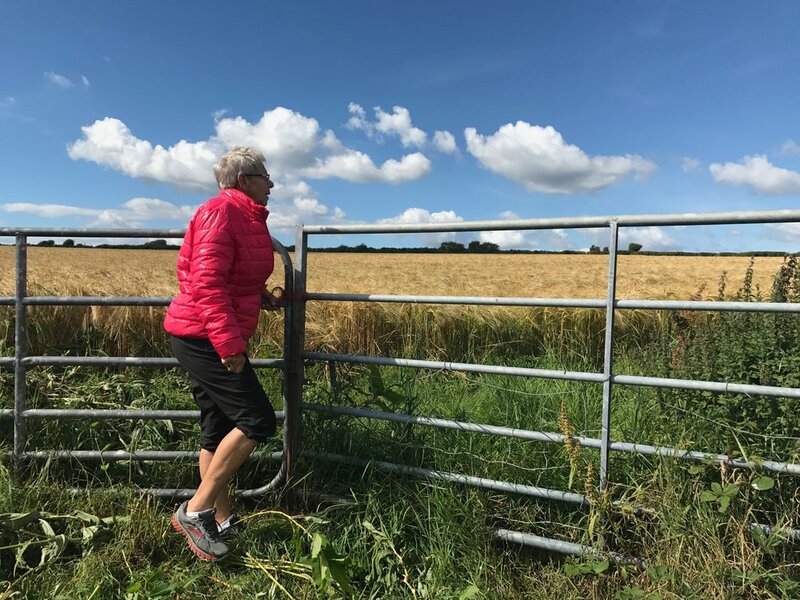 It was at this time that my mum (72, pictured above hiking in Ireland) asked me what we were doing to make sure those 8 girls One Girl supports would be educated again this year. I thought back to that school raffle and watching in awe as my very own 'one girl', together with her friends, stand up for girls who don't share the same privilege and freedom. I learnt a great lesson from those kids - being paralysed by my own guilt of privilege and fear of standing up, of speaking up doesn't sit right in my gut anymore. I decided then that I needed to bring my passion for the outdoors and doing something meaningful together and a new adventurous dream was born. This April I'll be hiking the 769km Camino Frances, the main pilgrimage route to Santiago de Compostella in Spain, raising money and awareness for One Girl along the way. I'm looking forward to discovering "Green Spain" and learning about myself as I push myself over much greater distances than I've ever hiked before. Less so the aching feet and legs from back to back 30+ kilometre days on the trail. Although I probably will cope better with the aches than sleeping in refuges amongst snoring hikers! But, the importance of educating girls in Africa is bigger than my discomfort and I want to show my four kids that working towards your dreams and standing for something matters. It is my hope that my adventure will give others the opportunity to have dreams like my mum, like Zoë, like me and the chance to create it. Keen to help? Find out how, including where to sign up for your own One Girl Hike here. 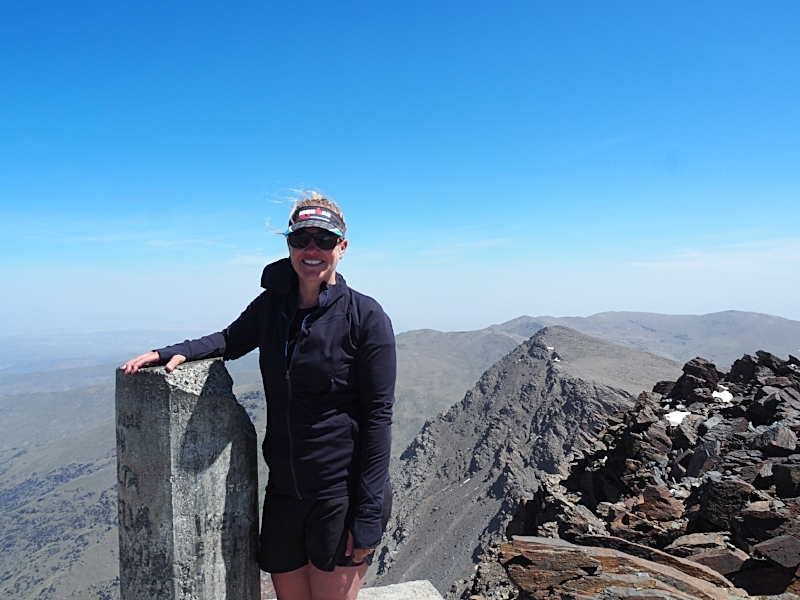 Frances Antonia is an adventure loving hiking mum of 4. As an ambassador for One Girl Australia she is passionate about sharing her love of adventure, travel and the outdoors to create change. An avid reader of memoirs Fran is creating her own life of adventure as she plans to undertake one of the most famous pilgrimages, the Santiago De Compostela, hiking 769km to raise funds and awareness for One Girl Australia.